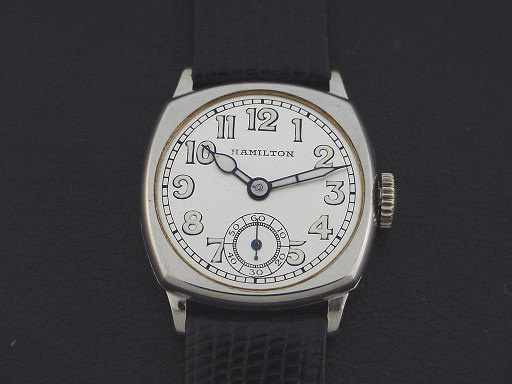 Very scarce Hamilton “Cushion B” men’s Modern design wristwatch in 14K white gold fill, circa 1930. 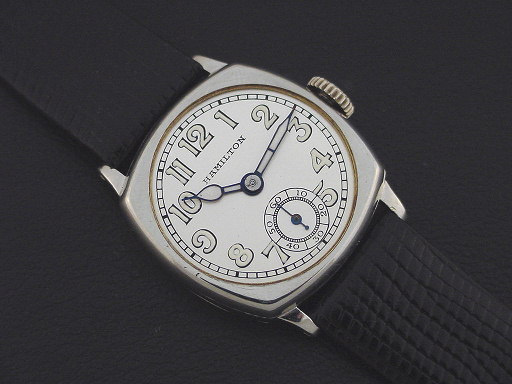 The “Cushion B” appeared around 1930 as an update to the earlier “Cushion” models from the 1920s. 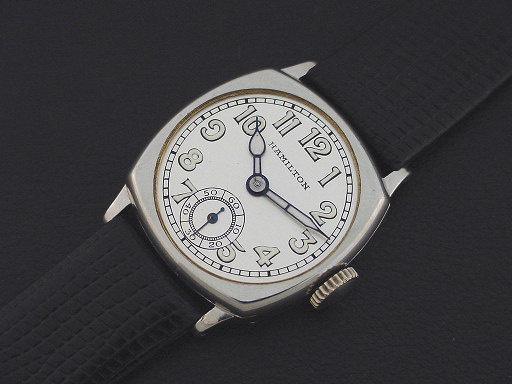 It is a very scarce watch, with only 1,620 produced in white gold filled. 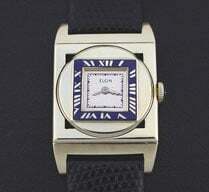 It was priced to consumers at $50.00 in 1930. This example is in crisp, excellent condition with no brassing. 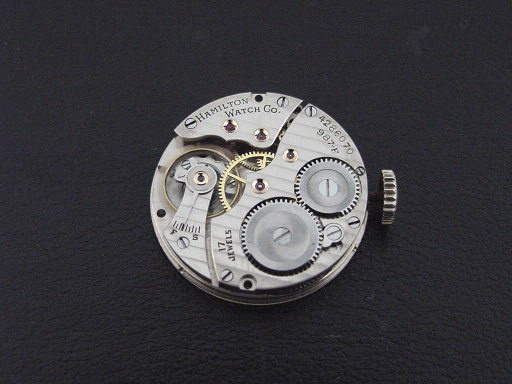 Caseback is excellent and unengraved, with a little wear in the corner from opening. The case measures 33mm long and 27mm wide. Refinished inlaid enamel dial is superb. Has new glass crystal. 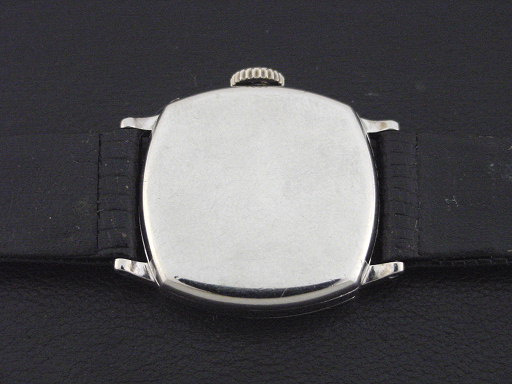 This watch is powered by its correct 17-jewel Hamilton grade 987-F manual wind movement, just serviced and running strong.